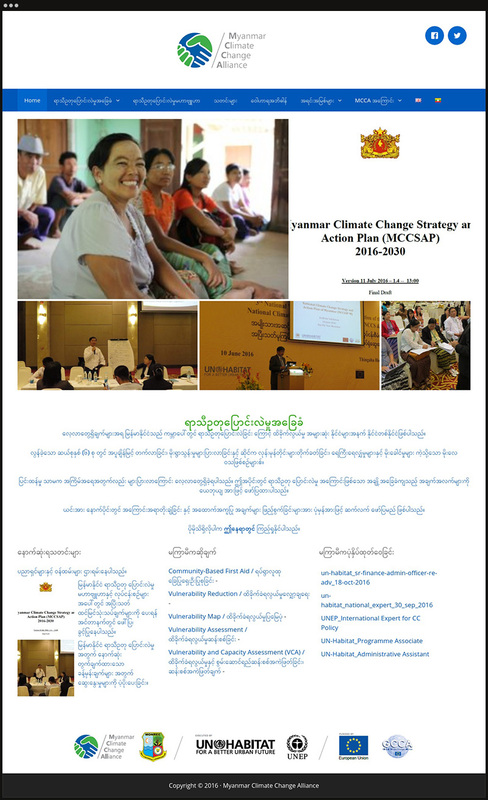 Myanmar is one of the most vulnerable countries for Climate Change. 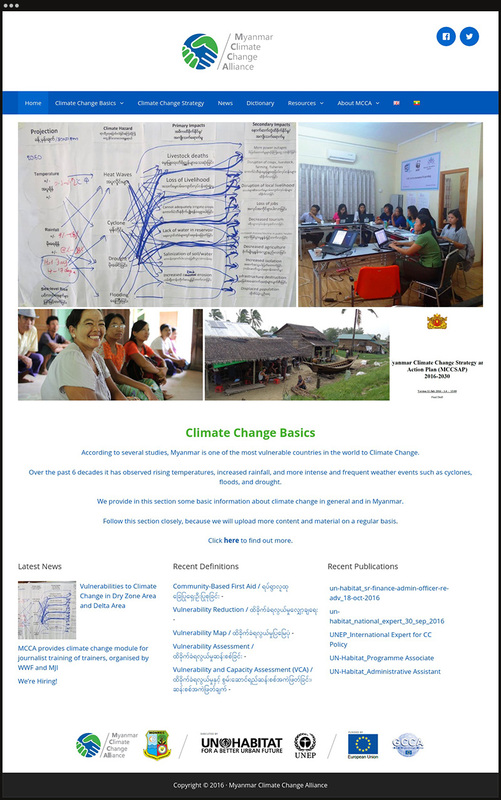 In order to spread awareness of this fact, the Myanmar Climate Change Alliance (MCCA) sought to create a website and establish a social media presence that would become the main resource for all climate change related news and studies in the country. The MCCA is an organization created in collaboration with UN Habitat to spread awareness about Climate Change in Myanmar. 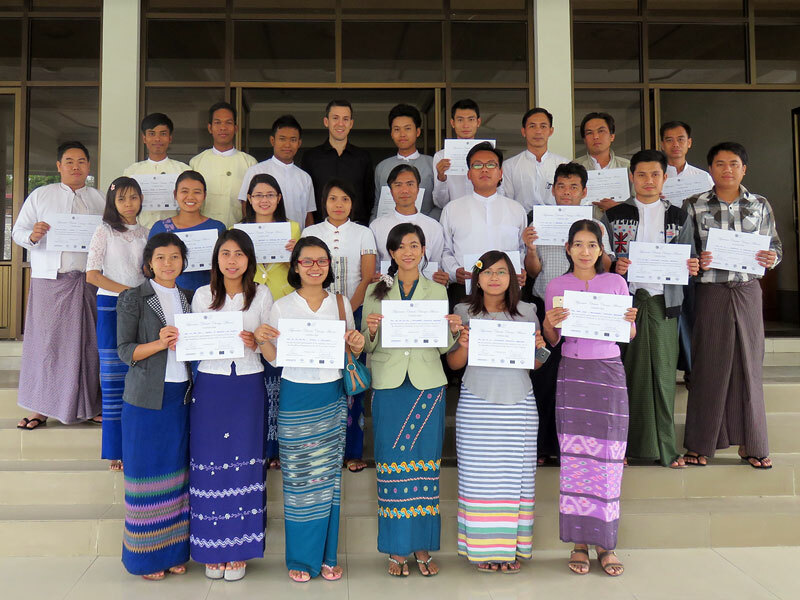 One of its first objectives was to create a website designed to be easily accessible to the Burmese population. In order to accomplish this, emphasis was placed on making the site extremely lightweight and responsive, as well as having an intuitive navigation. 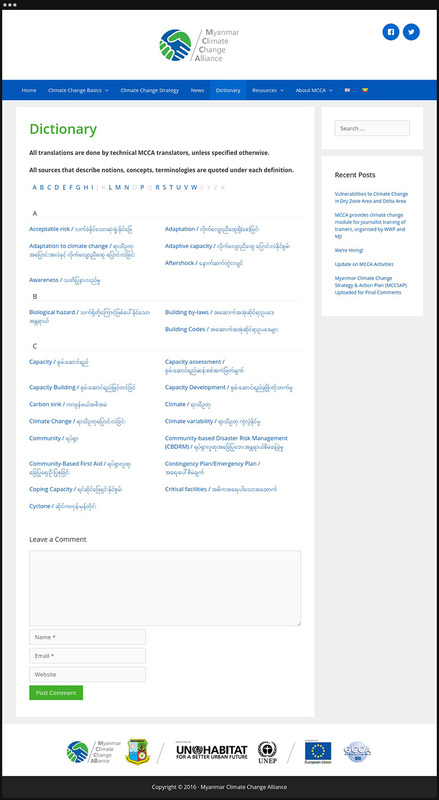 Just as with the site for the Union Civil Service Board, it had to be available in both English and Burmese. It was built on WordPress and uses a minimal set of plugins and add-ons to ensure a speedy delivery over Myanmar’s developing IT infrastructure. On-site training was provided and included core concepts of website administration, best practices for creating online content, and performing essential security audits and backups.